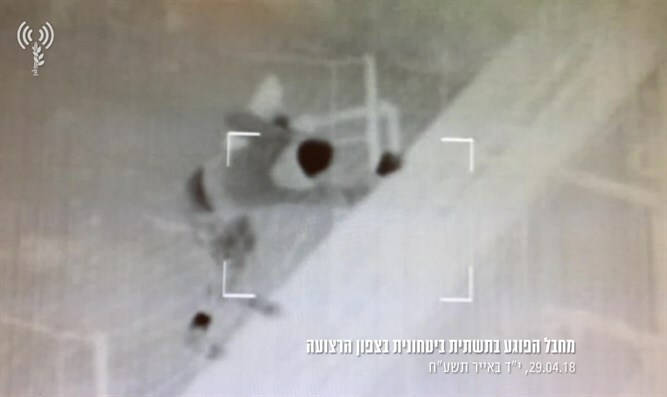 IDF arrests Hamas terrorist trying to harm security border fence under cover of fog. IDF forces on Sunday morning identified a Hamas terrorist attempting to harm the security infrastructure at the Karni cargo crossing. The soldiers arrested the terrorist, who was working under the cover of fog, and transferred him for interrogation. In a statement, the IDF said, "This is another terror activity, through which the Hamas terror organization attempts to infiltrate Israeli territory and harm its citizens." "This is part of the process which the Hamas terror organization attempts to grant a civilian cover to its terror activities, and to turn the border area into a war zone. "The IDF is determined to act, and to fulfill its obligation to protect Israeli citizens and not to allow damage to the security infrastructures which protect them."